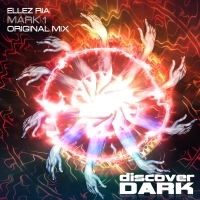 Discover Dark flexes its psy trance muscles, courtesy of this classic in waiting from Ellez Ria with Mark 1. The marriage of kick and bass sits to perfection together with a plethora of stabs, hits and fills and a vocal that lifts the build and beyond to another dimension. The break introduces a twisted distorted lead that adds to the intensity and delivers the start of a hypnosis that heralds once again the arrival of the vocal and an infectious chopped groove. Ellez Ria pulls out al the stops here delivering a tune that is more than a bit special. 'Mark 1' is available now from Beatport and iTunes.